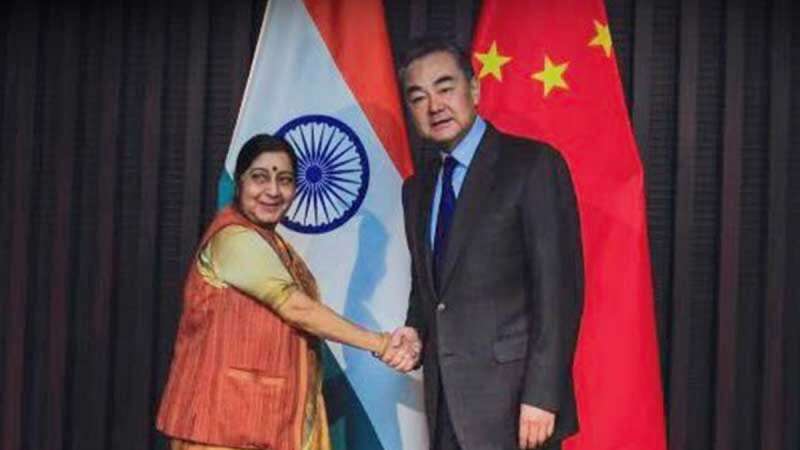 Wuzhen : A day after India executed air strikes in Pakistan region across LoC, Extertnal Affairs Minister Sushma Swaraj on Tuesday raised Pulwama terror attack with her Chinese counterpart Wang Yi in Wuzhen. At least 40 CRPF personnel were martyred in the fidayeen attack; in retaliation, India wiped out over 300 terrorists residing in PoK region. "I am visiting China at a time when there is grief and anger in India. It is the worst terrorist attack directed against our security forces in Jammu and Kashmir," she said in her opening remarks during the meeting held on the side-lines of Russia, India, China Foreign Ministers meeting. "The attack was carried out by Jaish-e-Muhammad, the Pakistan-based and supported terrorist organisation," she said. Pakistan, on the other hand, has issued a warning to India that it will give a surprise soon.